Why do I need to replace my loose ball joint? We are often asked, “What happens if I don’t replace my loose ball joint?” Well, your ball joints are a very important piece of your suspension. It is a ball and socket type of joint that allows circular movement but no vertical or side to side movement. If your ball joints breaks your car will be dead in its tracks, and it will usually ruin the brake hose, axle shaft, tire and the wheel it may even damage the fender. We inspect your ball joints and suspension every time your car is in for service. Signs of a loose ball joint are; abnormal and premature tire wear, a pull in one direction or the other and an unstable feeling while driving at higher speeds. Other signs of a loose or worn ball joint are a clunking noise while hitting bumps, a tire that is sitting at a funny angle compared to the other tires. Also bear in mind there may be no signs or symptoms at all. That’s why having them inspected with your routine maintenance is very important. 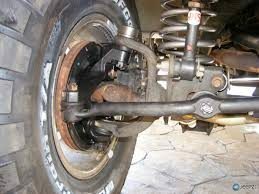 Also be aware that in order to inspect your ball joints properly, your vehicle has to be off the ground. At Long’s we thoroughly inspect your vehicle while it is on the hoist so that we can test all of your vehicles components, to make sure everything is in tip top shape. We also do digital inspections with photos, and videos, so that when we email them to you, you can see for yourself what the issues are. So if you are experiencing any of the above symptoms, please give us a call, so that we can get you in and figure out what the issue is, we want you and your family to have peace of mind that your vehicle is in good, safe driving condition. How do you keep mice and other rodents out of your vehicle? It’s that time of year when rodents like to find warm places, so we get asked “How do you keep mice and other rodents out of your vehicle? ” Rodents of all sizes can cause a lot of damage once they get inside your engine compartment, or even worse in side your vehicle. They chew on wires, make nests, and can just make a stinky mess. If you have a vehicle that you are not using often, and can store with the hood up, that is best, as the rodents are looking for a dark/warm place to nest. 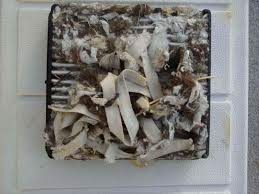 If that is not possible, do not store pet food in close range, try to seal all of the entrances, put Pine Sol, peppermint oil, or other “smelling” substance in the vehicle, what smells good to us, does not smell good to rodents. Put traps in the vehicle. Open the hood every few days, to check things out. If you find that you do have a rodent issue, give us a call for an appointment, will be happy to help you repair whatever they have damaged. Did you fail your emissions test, and want to go to a state certified repair facility in Woodinville? Give us a call, we have been state certified for over 20 years. If your testing time is getting close, remember you always want to take the test first, then if you fail come in for the diagnostics and repairs. This way if you decide you want to get a waiver you can. The state requires that you spend $150.00 on either the diagnostics or the repairs. This allows you to not “have” to do expensive repairs that may not be in your budget right now. If you fail, bring your vehicle, along with any paperwork they gave you to Long’s Car Care Center. We will get you back on the road in no time. Why isn’t the heater in my car working? 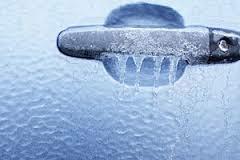 Is the heater in your car not working? It’s getting cold outside and you are going to want to stay warm. Is there cold or cool air coming out of your vents in your car? There are a number of parts that could cause this issue, abad water pump, thermostat, faulty radiator along with vent control motors. If you are shivering in your vehicle, give us a call at 425-481-1739, and we will get your vehicle in as soon as possible so that we can diagnose the issue, repair it, and get you back on the road in your cozy warm car. How much does it cost to replace a water pump? Ever wonder how much it costs to replace your water pump? Give us a call for an appointment and we will make sure that your water pump needs to be replaced. Most of the time we recommend replacing this at the same time as your timing belt, since you will save on labor fees. If your water pump is leaking, you will want to replace it. We will need the year, make and model of your vehicle, to be able to give you an accurate estimate. We can do the estimate at the same time as we are diagnosing your vehicle, if you need to schedule the repair for a different day, we can take of that for you also. Where can I get my electric windows fixed? Are your windows stuck up or down, and you are wondering where you can get them fixed? Well, look no further, we can take care of that for you. We will need to remove the door panel, and then determine what part has failed. As soon as we do, we will call you with an estimate for the repair, and also let you know how long we will need your vehicle for. Most of the time the parts are readily available, but with some, it can take a day or so. We will gather all of this information before we call you, so that you will know what to expect. If being without your vehicle is a problem, we do have a loaner car that you are welcome to use at no charge. So, lets get that window working properly before the rain sets in. How much does an alternator cost? Are you having issues with your charging system, and you want to know how much an alternator costs? That’s a fair question, and if you called us and asked, we would tell you that it would be in your best interest to let us diagnose your charging system to get to the root of the problem. Charging system issues can be as simple as loose connections at the battery, a bad belt, a weak battery, and yes, it could be your alternator not doing it’s job. We don’t want to spend your money, and install an alternator only to find out it’s something else. We want to repair it right the first time!! Where can I buy tires in Woodinville? Were you wondering where you could buy tires in Woodinville? Now, you can buy then at Long’s Car Care Center!! Yes we are now selling tires. We decided to add tires to our services, because we value your time. We know that our customers are busy, and care about convenience. It wasn’t convenient for you if we had to send you somewhere else to buy tires. We know you are busy with work, school, kids, errands, etc. So now we have tires for you, so we can be your one stop shop for all of your vehicles needs!! Hope to see you soon! Are you looking for a Diesel Mechanic in Woodinville? Well, we sure wish we could help you, and we can in some areas. We can do routine maintenance, oil changes, filter changes, brakes, suspension, etc. But if you have a check engine light on, or are having other runnability issues, we would highly recommend Dynamic Diesel in Snohomish. They are right across the street from the Snohomish Airport. We are hoping to add a Diesel Mechanic to our workforce soon, and when we do, we will make an announcement, but until then, we will have to refer you out. Can I hurt my car if I hit a curb? It happens all the time in parking lots, people hitting the curbs with their vehicles. Most of the time, this doesn’t cause a huge issue, although you should get your car aligned so that you don’t incur uneven tire wear, and have to replace them sooner than you had planned. But sometimes you can cause real damage. We had a customer just last week that brought her car in because she wanted us to check her alignment because she had hit a curb. When we went to bring into the shop, there was a pop, and the two front tire went in opposite direction. We had to push it into the shop….she had broken her tie rod. She was so lucky to get it to the shop when she did, if she would have been driving and it had let go, it could have been very dangerous. So if you do hit a curb, and you hit it hard, it might just be a good idea to call a tow truck and get it to the nearest shop, just to be on the safe side.